This building, on the western side of Cwmystwyth village, was originally an estate school built in 1837-9 for the Duke of Newcastle on the site of a lodge which had been built in 1814. The school opened in November, 1839. Named as School Lodge on 1847 Tithe map. 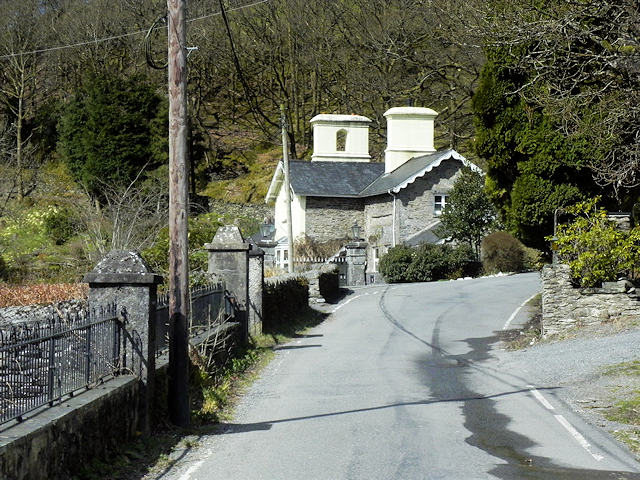 It closed as a school in the 1850s and was sold as Old Ysgoldy Lodge in the Hafod sale of 1949. The lodge is a Grade II listed building (Cadw Building ID: 84256 Link Historic Wales).